I hope that you've enjoyed my Sneak Peek Saturday blog series but it ends today. I wanted to find the best way to close this series and I decided a glimpse in the new catalog would be absolutely perfect. 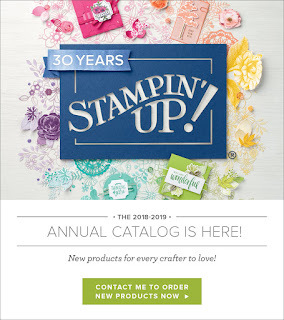 Check out this cute stop motion video on some of the great products in the new catalog. and find something for every crafter to love. I hope that everyone really enjoyed all the great new product I shared in the Sneak Peek Saturday series. I had so much fun posting the Saturday blogs that I've decided to start another Saturday series and I hope you'll enjoy this as well. Checkout my new series:"Spotlight Saturday"
starting ... June 9, 2018.